Formed in a jazz bar in Niagara Falls, Ontario, Canada, Newworldson musical style is very eclectic, but is principally soul music. Singer Joel Parisien says "there's a lack of community in people's lives today. If you trace back the roots of 'roots' music, of 'soul' music, of 'folk' music, it's about folks; it's social music. We hope our fans become our friends. We hope they leave our shows feeling inspired. Our community is about uplifting people." 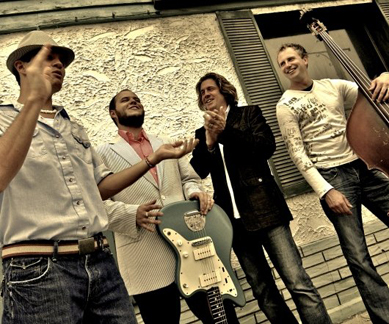 The group released their debut album, Roots Revolution, in 2006 followed up by Salvation Station in 2008. 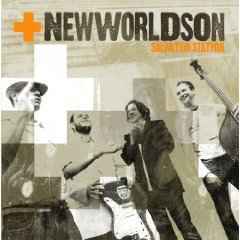 Newworldson's Salvation Station on Inpop Records was selected as one of the twenty best albums of 2008 by Cross Rhythms, while Christianity Today voted Salvation Station #3 on their list of Best Christian Albums of 2008. The album hit number 26 on Billboard magazines's Top Heatseekers chart in 2008, and 34 on the Top Christian Albums chart. The 11-song set runs the gamut Newworldson has been honing on stages large and small for three years. It folds together pop, soul and jazz elements into a sound completely unlike anything currently on the pop music landscape. And because Salvation Station is infused with those transparently spiritual messages, the band knows it's facing an uphill battle getting the public to understand who and what it is musically. "It's difficult to classify our sound because we draw from different genres, but really, our foundation is soul music," Parisien says. "And soul music definitely has sacred roots; it started in the church. So we want to return this familiar music to its sacred roots, all the while leading people to a place of praise, release, revival and worship." That kinetic atmosphere is felt all over Salvation Station. The steady pulse of "Working Man" echoes the title track's driving beat, giving way to the greasy stomp of "Empty Heart." But the album still has room for loping, introspective songs like "Sweet Holy Spirit" and the joyous yearning on "Waitin' Till The Rapture Come." All of the emotion, style, movement, and energy that fills both Salvation Station as well as Newworldson's finely crafted live performances reflects hard work and a willingness to be free in who they are as men and musicians. It's that rare combination of both style and substance, married to a higher calling. "I think the anointing is clear to anybody, Christian or not. To see that there's something extra there, and we surrender to that when we play," Parisien says. "We don't want to take credit for what's happening on stage, just like we can't take any credit for how this band was put together. All we've done is show up with a positive attitude and put in the work. Anything that happens on stage, any hearts that are touched, really has very little to do with us."